Shows — Lanky Yankee Puppet Co.
Jack & Jill is one-man puppet show featuring hand-carved, folk-toy-inspired puppets and live music. The show explores the contemporary issue of water conservation in the tradition of the Appalachian Jack Tale. In this story a young coal miner and his companion 'go up a hill to fetch a pail of water' then take on a selfish giant and save a whole neighborhood! Everyone is welcome to a big ol’, heapin’ helpin’ of this good-natured, heartland American story of teaming up and looking out for the little guy. A LANKY YANKEE PUNCH & JUDY SHOW! A Lanky Yankee Punch & Judy Show is a rollicking hand-puppet spectacle performed in the British Punch & Judy show tradition with a Lanky Yankee twist. Mr. Punch the trickster is back again. Watch Punch look after the baby, escape the crocodile, outsmart the devil, and cause all sorts of mischief. Judy will be there too, of course! How will she deal with all of the tomfoolery this time? This show is for ages 5 and up. A Lanky Yankee Punch & Judy Show performed at a school in Jinja, Uganda in August 2017! Jacks in the Box is a one-man puppet show starring the Appalachian folk hero, Jack. 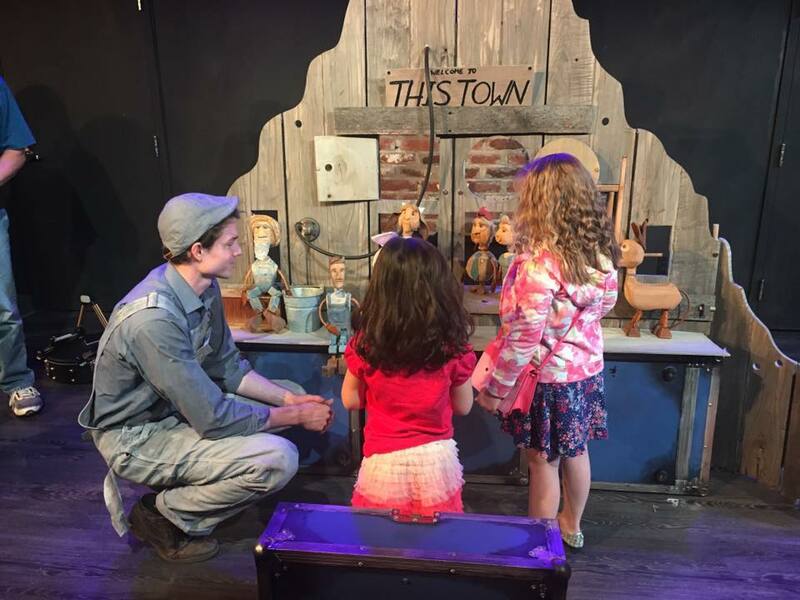 Two suitcases and an old steamer trunk provide the backdrop for three distinct Jack Tales featuring different styles of puppetry. This show is for all ages.